Is social media damaging your business's productivity? In the first flush of business, everything seems kinda fun. You enter a new world and a whole new identity. The road ahead looks exciting, you’ve got ideas, hope, enthusiasm, and gusto. And yes, these are all important things in business. Getting started on social media is a big part of those early, heady days as an entrepreneur. It’s the outward expression of your business; a platform to find your voice and begin connecting with the big wide world. Every ‘like’ makes your heart leap, every share gives you strength. As you get more followers you become more confident, more sure of your business and its potential to earn you a living. Of course social media can’t be ignored, it’s woven into our lives. But allocating time and resources to social media in the early stages of your business isn’t necessarily the best option. If not thought through carefully, social media can be a huge drain on your business when you should be focused on other activities. This could be defining sales cycles, forming referral partnerships. setting monthly KPS, e commerce, SEO and so on. The priorities will be different depending on the nature of your business and its audiences. Sure, social media can feel like being productive and a fun place to hang out and promote your business; a comfort blanket to snuggle up in. But we all know social media is addictive, it’s a hungry beast and most importantly it can be hugely distracting if you let it. Be mindful of the amount of time you are posting, checking, replying, sharing content or mindlessly scrolling (we all do it!) Keep a check and estimate the cost of that activity on earning potential. This will help you assess and potentially realign the amount of time you spend on social media in relation to other business activities. You’re in control when you run your own business, important to remember, but easy to forget. There are no rules about how many social media channels you should be on but the one thing to remember is that every channel has a different purpose, it is distinct from others and deserves its own approach. Posting out the same content across Facebook, Twitter, Instagram, Linkedin, YouTube and so on is only going to annoy people and will be less effective than crafting a message which is appropriate and tailored to that platform. Start with your audience and build their profile from age, location, interests, habits, job title, influencers and contacts. If you want to make connections with journalists for example Twitter is undoubtedly the right outlet, if you have a lifestyle product aimed at people in their twenties, Instagram is the platform for you. Start small and start with something you can manage and don’t feel that you have to be on every single platform out there. If you do something, do it well and do it with purpose. Spreading yourself thinly is not going to benefit your business. Effective social media will drive brand awareness, but importantly it should be generating sales. Social media can be a really effective tool to build a fan base or online community that have regular contact with your brand through a range of touch points which could include in-store, in advertising, email marketing etc It keeps your customers warm and connected, close to your values and it’s the trigger to drive more traffic to your website. It really works best when you enjoy a natural and reciprocal relationship with people online and carry them with you through your business journey. Getting the most out of social media is getting it to work hard for your business. This is critical to all social media activity you carry out. Creating a clear outcomes-led social media strategy is the key here. Be clear about what you need to achieve – whether that is a % increase in sales, signs up to your newsletter, events bookings, taking part in competitions – and measure your targets as part of your wider marketing strategy. Once this is clear in your mind you can start to build a content plan around these targets. Having a distinctive tone of voice will be key to this. It’s important to have a feel that fits with copy across your website, and packaging, using words and imagery that appeal and inspire the reader. Getting this straight from the start is time well spent. We also recommend building a monthly content plan across the year using paid, earned, shared and owned content (PESO) with flexibility for responsive and reactive content. Leaving time for sales opportunities within the year and planning marketing campaigns around this will make sure your social media is driving sales and not just driving you around the bend. Like any area of marketing you may need to test and try different iterations to reach the success you’re aiming for, but without measuring your activity you will have no idea if it’s working. To do this you will need to look not just across social media analytics but at Google Analytics and through customer and market research. Social media is not straightforward and there is a lot to think about if you want to do it properly. 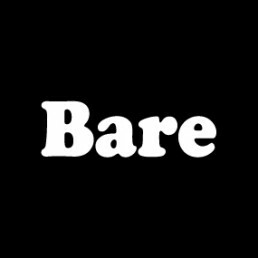 It’s definitely key to many businesses’ success and at Bare we have been able to boost brands to a whole different level using social media alone. Bare PR can advise on the right social media strategy for your business and how to put this together and get the results you need. To have a discussion about social media support and management, please get in touch.